Following on from my Coconut & Lime Cupcake Recipe, here are some ways that I have been preserving limes from my abundant crop this year. 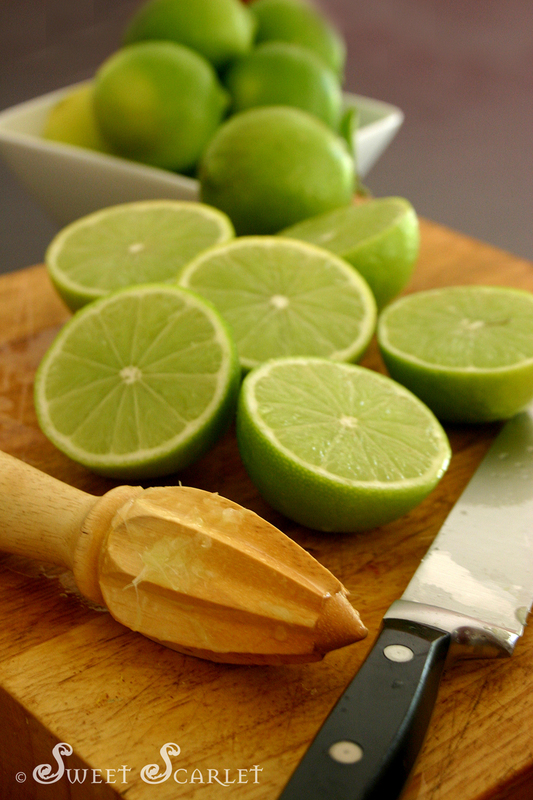 I don't use limes that often in winter (as it is in Australia right now). 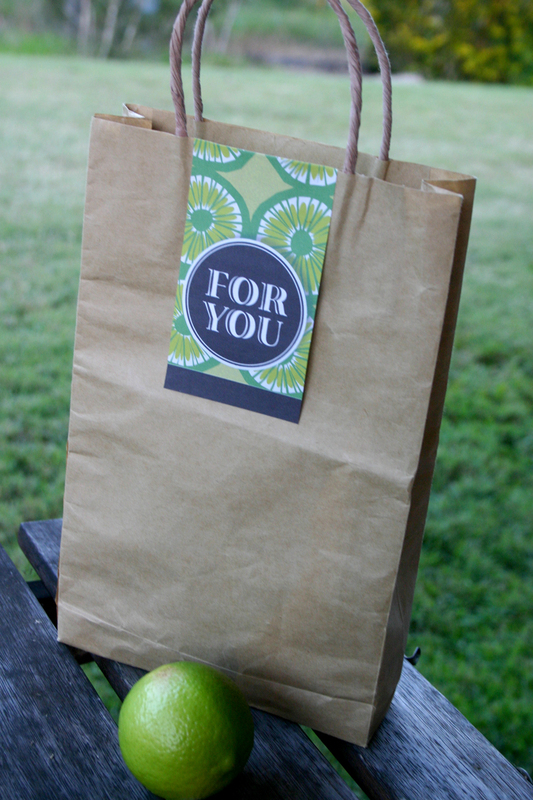 I use them in summer for Thai salads, drinks and desserts. So I decided to preserve the limes now by freezing them, so I have them ready for summer. I started out simply juicing the limes I had picked. Then filling ice-cube trays with the juice, covering the trays and freezing them overnight. This would have been a lot easier with an electric juicer! 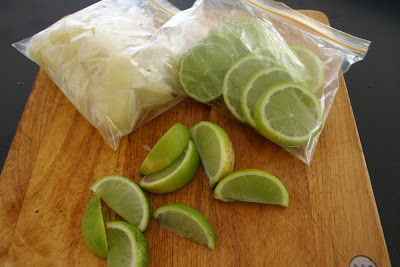 I then added those frozen lime ice cubes to zip-lock bags, marked the date and returned them to the freezer. I can now defrost the lime juice when I need it for a salad dressing, marinade or a Mojito! I also experimented with cutting limes into slices and wedges and freezing them. I'm thinking I can add these 'limesicles' to a water jug on a hot summers afternoon. None of these techniques are rocket science, but I thought I'd share my experiments with you. The same techniques work for lemons. 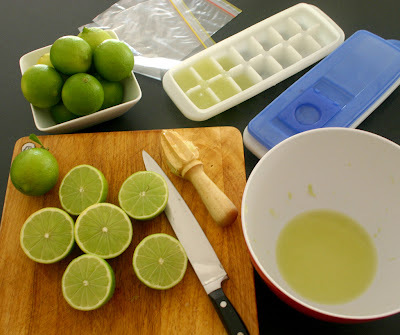 The lime juice and pieces will freeze for up to six months. The same techniques can be used for mangoes (flesh) and passionfruit (pulp). The rest of the limes I have bagged-up and given to friends. So if you do receive some fruit from a friend or neighbour, or you have a bountiful tree, I hope some of these techniques will come into good use. Next post: Make your own vintage cake stands.